Every parent knows that you aren’t supposed to let small children play with LEGO blocks because they’re a potential choking hazard. 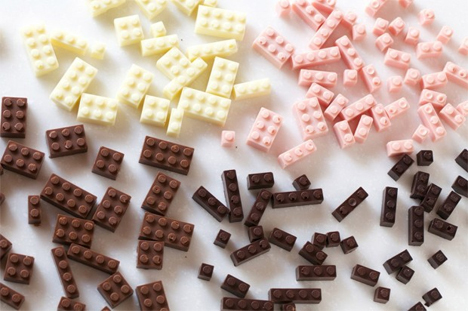 But Japanese designer Akihiro Mizuuchi has done something completely brilliant and made LEGOs that you can actually eat. 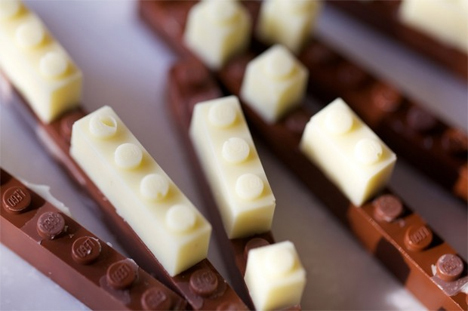 The Chocolate Legos are sturdy enough that you can really build with them. They have the same structure as real LEGO bricks so they “snap” together and hold their positions. We probably wouldn’t try combining them with actual LEGO bricks, though. 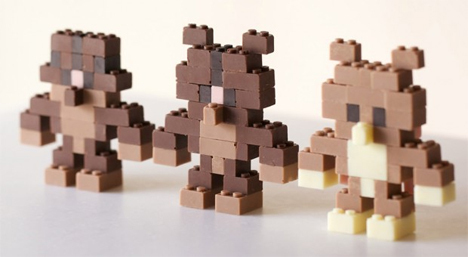 Mizuuchi produced a variety of sizes and colors (and, we assume, flavors) of these delightfully inventive snacks/toys, then built a tiny army of chocolate LEGO teddy bears that probably caused him both literal and figurative sugar shock. Unfortunately for everyone else in the world, the designer isn’t planning to market his creation. 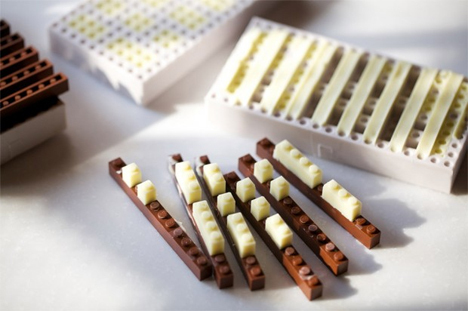 But we’re thinking if LEGO could hook up with one of those make-your-own-food kits marketed toward kids, they could easily make something like this available to as a DIY project. See more in Gaming & Geek or under Gadgets. August, 2014.